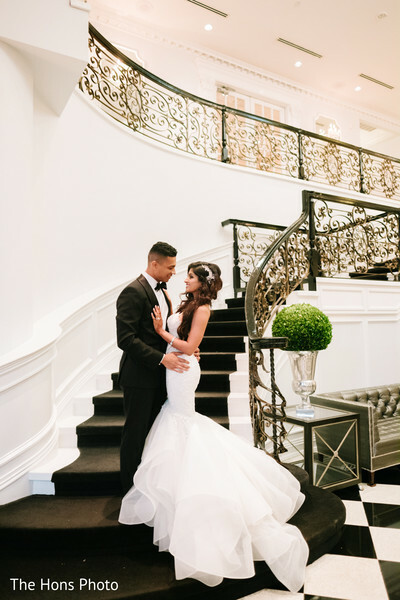 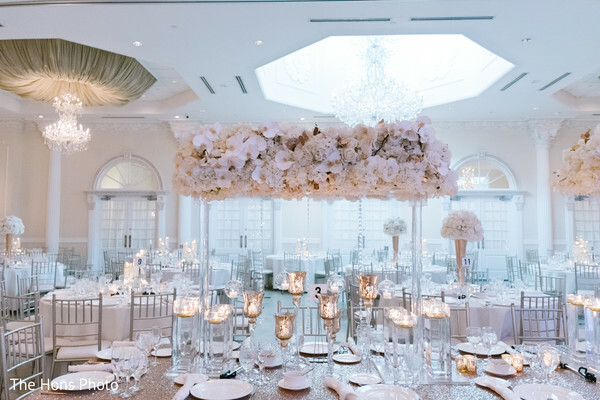 The journey of Elizabeth and Shawn continued at the elegant Addison Park! 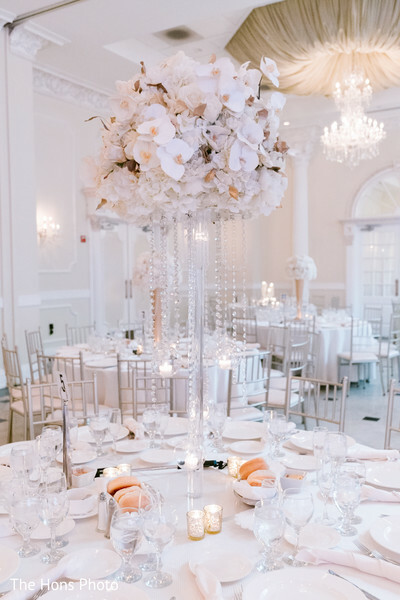 Here, the guests found a heavenly ballroom, exquisitely decorated with trendy table designs that give a pure, elegant air to the venue. 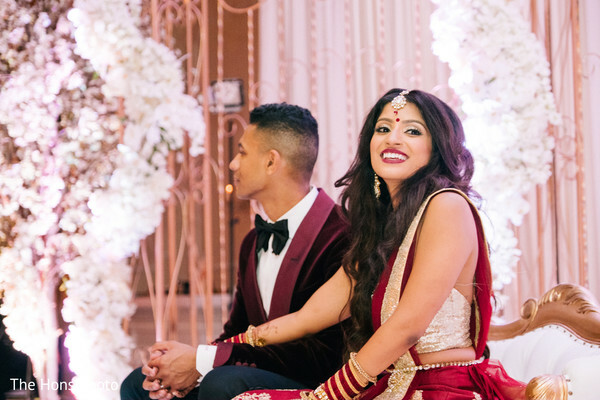 Maharani Elizabeth refreshed her look with the help of Bridal Rang by Samiha who draped and styled her dazzling sparkly choli and the gorgeous crimson color lehenga. 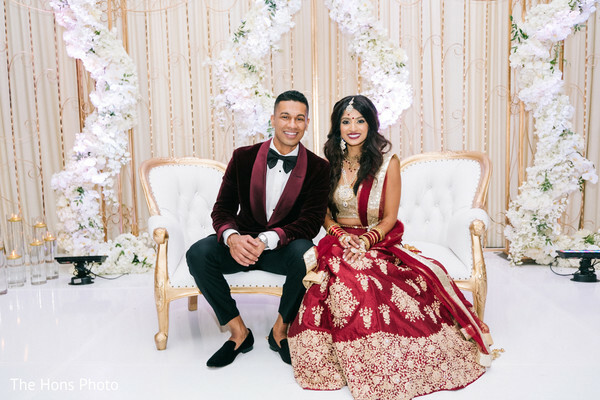 The glam squad also added the perfect lipstick shade to the bride’s lips to match her lovely outfit! 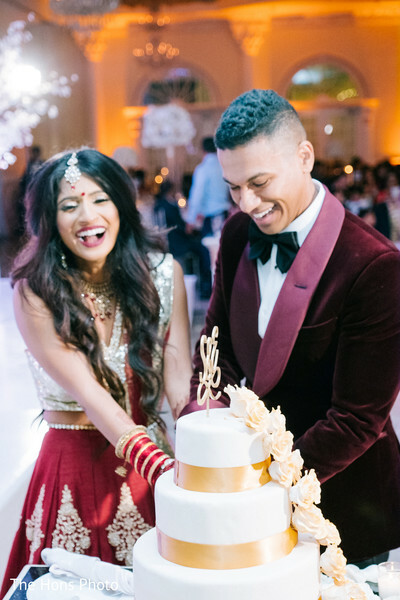 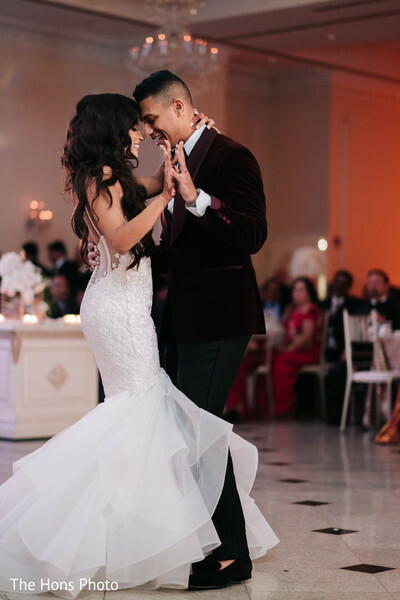 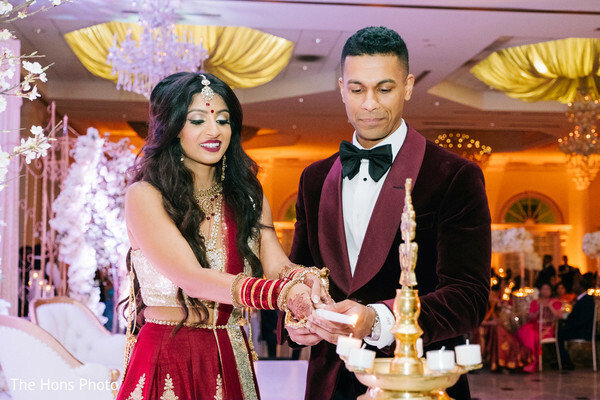 Shawn also swapped his full black ceremony tuxedo for a stylish burgundy velvet tuxedo jacket that made him look absolutely chic for his big night! 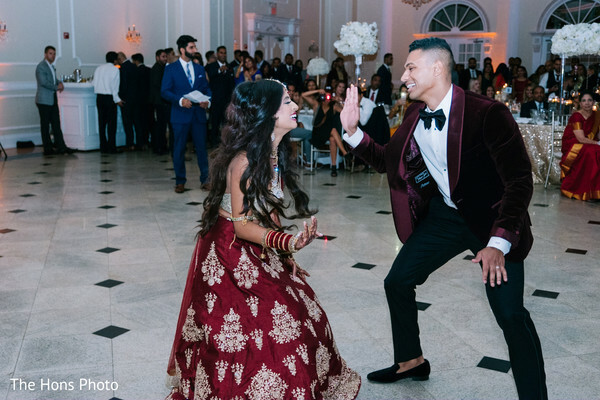 As a beautiful way to pay homage to the couple’s heritage, the night was filled with significant heartwarming moments as lightning the ghee lamp and as well as many games and vibrant dance performances. 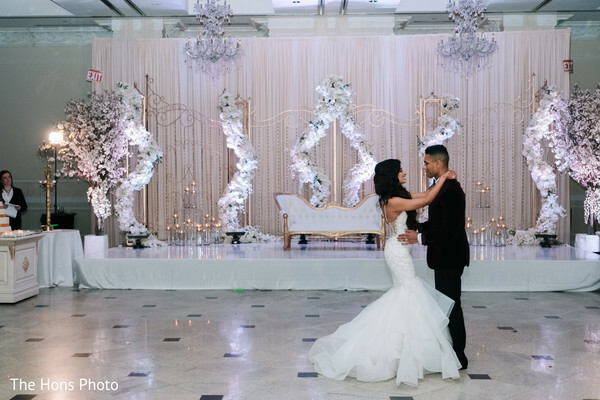 To preserve each of these moments, The Hons Photo captured them in the most beautiful images you will find in our full gallery!